2018 Varsity Softball - Est. 1988 - 31 Years - Cardinal Athletic Alumni Association, Inc.
An RBI-single from Brianna Geis in the bottom of the second tied the game, but Fond du Lac moved back ahead in the third when Smit – who was 3-for-3 in the game drilled a clutch two-out single to score Jacy Klaske. Smit was the only player with multiple hits for Fond du Lac, but will be one of a large group of players returning next year for the Cardinals, who were making their first sectional tournament appearance since 1996. Leading hitters: FON – Kali Smit 3×3, 2B, RBI. OW – Leah Engstrom 2×4; Alyssa Brewer 2×2; Brianna Davis 2×4, 4 RBI; Brianna Geis RBI. 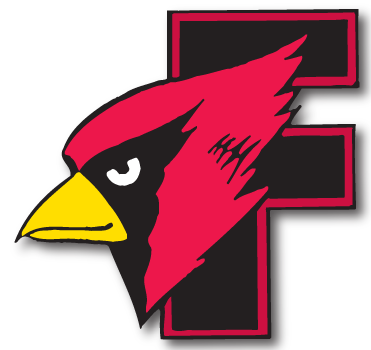 Abby Freismuth, Fond du Lac softball was the winning pitcher in three games last week, including the Cardinals’ upset of top-ranked Oshkosh North in a WIAA Division 1 regional final. She scattered eight hits and struck out six against the Spartans while driving in Fond du Lac’s first run with a well-placed bunt. She also went 2-for-2 with an RBI in a regional win over Oconomowoc and was 2-for-3 with a pair of triples in a victory over Neenah. OSHKOSH – It had all the makings of a storybook comeback until Abby Freismuth and the Fond du Lac Cardinals had a plot twist of their own. Freismuth struck out Oshkosh North’s Noelle Frank with the tying runs on base for the final out and the Cardinals – who had lost to the Spartans by 22 runs earlier this month – upset the top-ranked team in Division 1, 5-3, in a WIAA Division 1 regional final on Tuesday. The stunning loss ended the two-time Fox Valley Association champion’s season, while vaulting the eighth-seeded Cardinals into the sectional level for the first time in more than 17 years. Fond du Lac will travel to face fourth-seeded Oshkosh West on Tuesday. Freismuth scattered eight hits and four walks in seven innings, while striking out six – including all three outs in the final frame. And those final outs came with Oshkosh North mounting the pressure. Trailing by four runs entering the final inning, Mathena Higgins and Brooke Ellestad smacked back-to-back singles off Freismuth to open the frame. The hurler then fanned Syd Supple for the first out and struck out Sophie Averkamp for out No. 2 after Libby Neveau had walked to load the bases. Shea Thull, who went 3-for-3, delivered a two-run single to narrow Fond du Lac’s lead to two and put the tying runs on base but Freismuth registered the final out to ignite a Fond du Lac celebration. Freismuth also plated the Cardinals’ first run of the game when her squeeze bunt brought home Megan Elford, who had smashed a one-out triple in the third inning. But the turning point of the contest came a few innings later. The Spartans had runners at second and third with one out and then loaded the bases with two outs in the fifth inning but failed to score. The Cardinals then answered with a four-run outburst in the top of the sixth to take a 5-0 advantage. Kellie Hierl started the inning with a single before the next three Cardinal hitters reached on misplayed sacrifice bunts and a hit batter. A passed ball in that sequence of hitters also helped Fond du Lac plate two runs. With runners at second and third, Supple would get the first out of the inning, but Nyah Odekirk followed with a line-drive single to left field to plate two more runs. Thull, the lone senior on the Spartans’ roster, led off the bottom of the sixth with a solo home run to center field to get North on the board, but Freismuth retired the next three hitters she faced to prevent the Spartans from getting any closer. It was the third win in three days for the Cardinals, who knocked off Oconomowoc, 9-5, in a regional semifinal on Wednesday. Fond du Lac had just one WIAA Tournament win from 2001-17. The loss stunned Oshkosh North, which had reached the WIAA state tournament the past two seasons and had not lost to a team from Wisconsin this season. Thull and Ellestad each finished with three hits in the game for the Spartans and Supple struck out 11 while allowing just one earned run, but it wasn’t enough for North. WP: Abby Fresimuth (7 IP, 6 Ks). LP: Syd Supple (7 IP, 11 Ks). ON – Brooke Ellestad 3×4; Syd Supple 2B; Shea Thull 3×3, HR, 3 RBI. APPLETON – Fond du Lac scored nine runs in its final two at-bats to pull away for the win. WP: Abby Freismuth (5 IP, 7 K). LP: Emily Bourin (5 IP, 3 K). OSHKOSH – Fond du Lac outlasted Oshkosh West in an pitching duel between Fond du Lac’s Kellie Hierl and Oshkosh West’s Annika Johnson. WP: Kellie Hierl (10 IP, 5 K, 2 BB). LP: Lacey Cruz (1 IP). FOND DU LAC – The Cardinals scored three runs in the sixth inning to seal the win over the Terrors. Kali Smit had two doubles and Jess Pentland drove in two runs for Fond du Lac. HORTONVILLE – Miranda Stanoski went 2-for-4 and drove in five runs, while Taylor Lebeck went 3-for-3 with two runs batted in to carry the Polar Bears over the Cardinals. WP: Taylor Lebeck (4.1 IP, 2 K) LP: Abbi Freismuth. Fond du Lac 7 Kimberly 1 CONGRATULATIONS GIRLS !!!!!!!! ! FOND DU LAC – Abby Freismuth went 3-for-4, drove in four runs and stole two bases to lead Fond du Lac to the win over Kimberly. Kellie Hierl was the winning pitcher allowing just 1 run on 8 hits !! WP: Kellie Hierl (7 IP, 1 K, 0 BB). LP: Lauren Elliot (4.2 IP, 1 K, 5 BB). Leading hitters: Abby Freismuth F 3×4, 2 SB, 4 RBI. OSHKOSH – Kali Smit and Lexi Nett each drove in runs for the Cardinals in the loss. WP: Annika Johnson (7 IP, 9 K). LP: Abby Friesmuth (5 IP, 1 K). Leading hitters: Kali Smit F 2×3, 2B, RBI; Lexi Nett F 2×3, RBI. APPLETON – Megan Elford went 2-for-4 at the plate and Abby Freismuth pitched six innings for the Cardinals in the road loss. Abby Freismuth struck out 12 batters in pitching the Cardinals to the victory over the Rockets. Fond du Lac scored three runs in the top of the seventh inning to break a 4-4 tie. Kali Smit had two RBI for the Cardinals. Kali Smit was 2-for-3 with a home run and a double for Fond du Lac. WP: Syd Supple (7 IP, 2 H, 0 BB, 13 K). LP: Abby Freismuth (5 IP, 3 BB, 4 K). Leading hitter: Kali Smit FDL 2×3, HR, 2B.